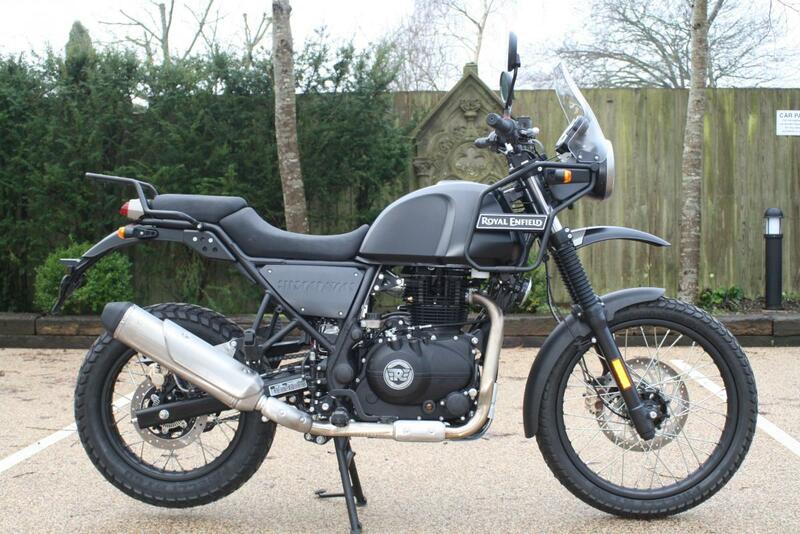 We are thrilled to be able to offer you this fantastic Royal Enfield Himalayan. Fresh in and raring to go. Full dealer facilities. Low rate finance is available on this bike, credit subject to acceptance. Superb all rounder, brilliant value for money, great bike to start your biking journey on!! Royal Enfield's awesome 411cc single cylinder adventure bike. Brand new, 24 months warranty and 12 months RFL. Royal Enfield’s most versatile motorcycle, able to take riders almost everywhere they want to go, on road or off-road. The only motorcycle you will ever need. The Himalayan combines outstanding versatility and all-day comfort for all rides. Long-travel suspension, natural upright riding position, a durable and torquey engine all add up to a comfortable ride for you, whether it’s on the highway, city streets, or remote mountain roads. The Himalayan is fit to be your only motorcycle. The Himalayan cradles a rider in its low seat height, the handlebars and footpegs work in perfect sync to unite the rider with the motorcycle for a comfortable upright posture. The inherent mounting points in the front and back let you strap up and set off anytime, while the LCD instrument cluster keeps you in track of miles to maintenance. Low rate finace is available on this bike, credit subject to acceptance. For a no obligation finance quote please call 01747 811196 option 1. Thanks for looking! !